RAVENOL HPS SAE 5W-30 is modern high-performance, low-friction, semi-synthetic multigrade engine oil which is also suitable for use in performance vehicles because of its high quality synthetic base components and its innovative additive package. The excellent cold start characteristics provide optimal lubricant safety in the cold-running phase, and because of the noticeable improvement in fuel economy, RAVENOL HPS SAE 5W-30 engine oil contributes to the reduction of pollutant emissions and helps protect the environment. 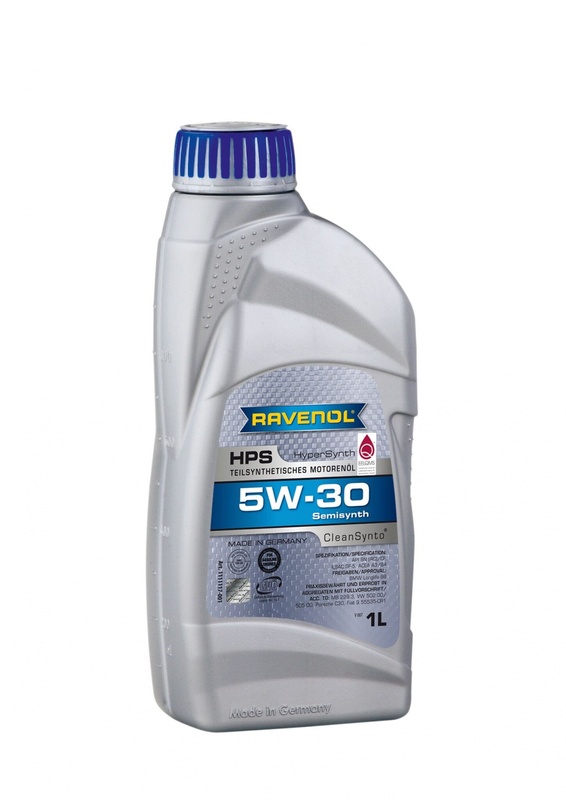 RAVENOL HPS SAE 5W-30 is low friction engine oil which is also suitable for performance motors. It is recommended for all modern passenger car petrol and diesel engines, including turbo versions and for direct injection motors and also recommended for all operation conditions.